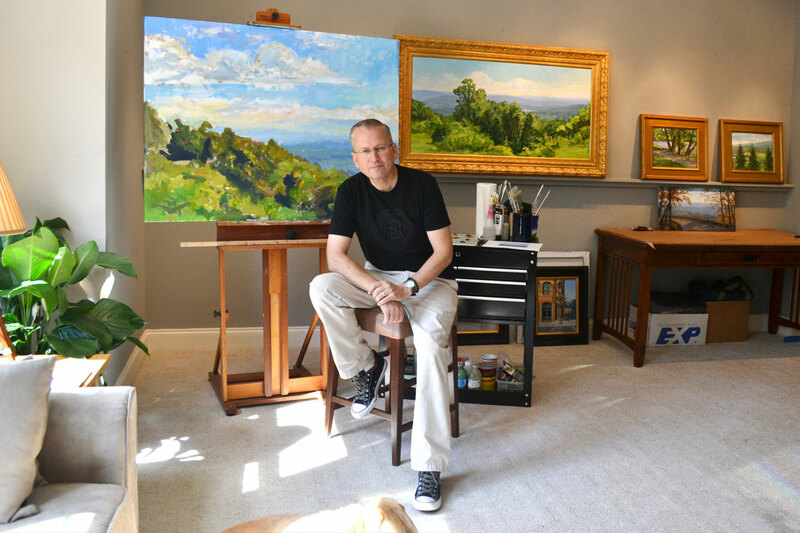 More paintings in the series “Blue Ridge Views” – large canvases of mountain views. This year I’ve started a Bullet Journal! I’m so excited about this tool for better organizing my thoughts, my tasks and my time. I’m a total novice at this method, but it seems to fit well my way of thinking and it promises flexible enough to fit my needs as they evolve. Many thanks to Katie Mac for the inspiration! My wife and I are managing 3 vacation rentals in South Asheville, NC—and we love it! Also, I’m dialing in on my Instagram presence. Check it out! My Word of the Year for 2019 is ACTION. 1. My Daily Ritual – I’m the kind of person who gets up at 6:00 AM every day. 2. Artwork Production – I’m the kind of person who paints every day. 3. Artwork Promotion – I’m the kind of person who shares my artwork. 4. Spending time with friends and family – Because they’re the ones that make it all worthwhile. Many thanks to the following people for the ideas and inspiration for this page and its content.